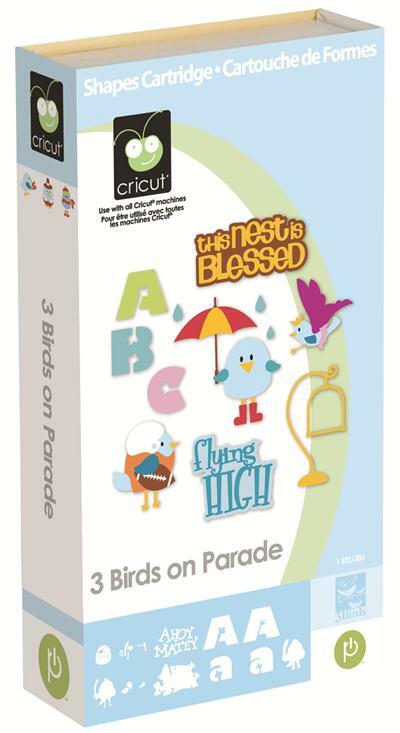 Today I am showcasing my newest (and quickly becoming my most favorite) Cricut cartridge: 3 Birds on Parade. I have a quirky sense of humor and love to craft fun, bright projects so this cartridge is perfect for me! 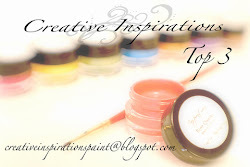 Today I have made a few different projects to show you so you can see a few things this cute little cartridge has to offer. This project also shows you the font on this cartridge. At first I wasn't super crazy about it, but it has grown on me. 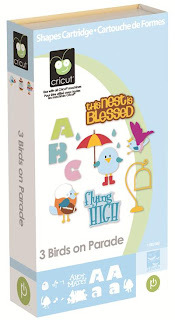 The cut out in the center of each letter is a birds foot, so you would need just the right project to use it on. The font is also very chunky. The next projects is a set of 4 Christmas Cards. I looooove these little guys! These birds do take a lot of layers, but they are well worth it. They each have a very cute little expression that goes with them as well (I just struggled to get it cut small enough for the front of the card as they are pretty precise cuts. They seem like they would be better cut quite a bit larger than the 1 inch height I was looking for). The caption of each photo tells you what the expression included on the cartridge is for each of the birds. My last projects are not something you would expect to see from this cartridge. I spend a lot of time on Pinterest and am currently obsessed with the trend of silhouettes of little birds. I used the base of one bird to create these two cards. I cut the larger birds at 1/2 inch and the small birds on the sympathy card are 1/4 inch (teeny!). The embellishments and expressions are both stamps. I like finding cuts on cartridges that you can make things with that are unexpected. This bird would typically have two layers over this black shape to created an adorable little bluebird. I love your showcase of 3 Birds on Parade. Each and every card is adorable! Fabulous showcase. I love what you've done with this cartridge. It's so much fun. Your Christmas cards are adorable and I love, love the silhouette cards.